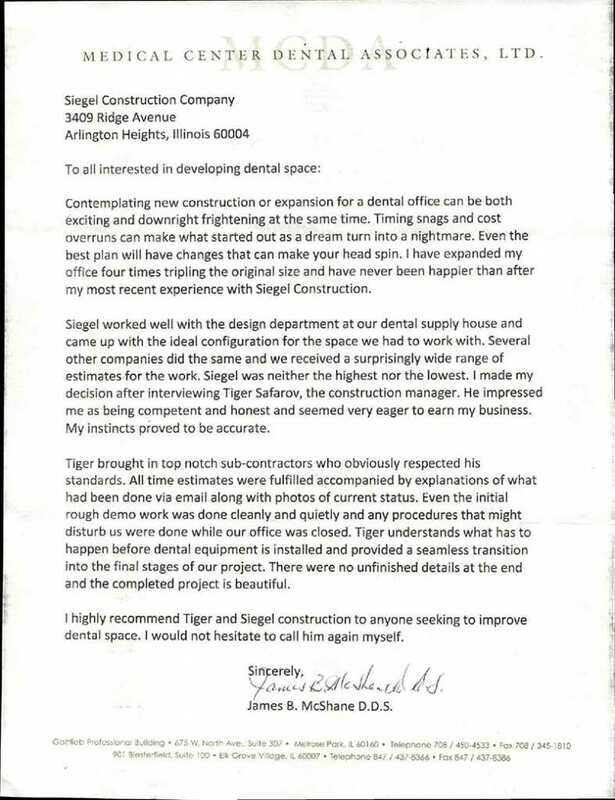 Siegel Construction hired by Medical Center Dental Associates Dr. James McShane, DDS to complete renovation of newly leased additional space to an existing 4000 SF practice. Our requirements were tough schedule, work around the patients, and dust control. All loud work was completed during off hours and project was delivered on time.